Summer is in full swing and there is no doubt you have your air conditioner cranking 24/7. Oh, the sweet, sweet relief of an air-conditioned home! However, summer doesn’t just bring the heat, it also brings lots and lots of rain. On hot days, this rain sometimes just makes it even nastier outside by increasing humidity. Did you know all this rain and moisture can lead to serious damage to your air conditioner? An air conditioner works in part by removing moisture and heat vapor from the air to help cool off your home. This moisture and vapor are turned into condensation that is dripped into a pan and then out of your unit into the sewer system. Excess moisture from rain or extremely humid days can greatly increase the amount of condensation from your unit. If left unattended, high water levels can cause clogs that result in leaks that can cause damage to your unit and home or the growth of mold in your home and system that is harmful to breathe. 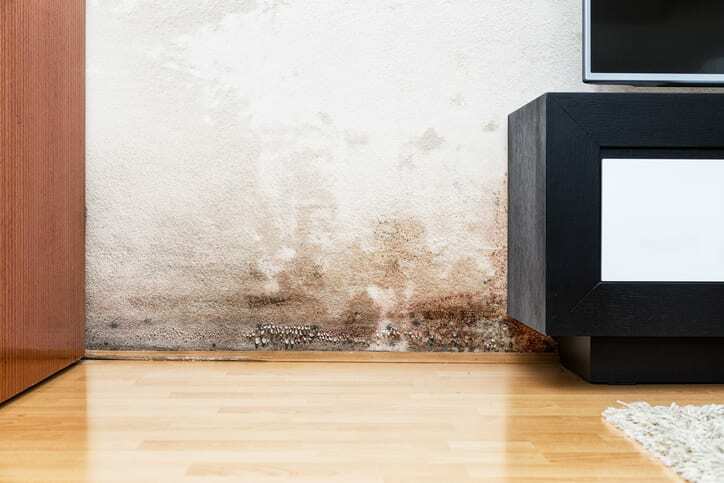 Don’t worry, there are simple measures you can take to help ensure you won’t have to be confronted by expensive water damage in your home and even possible repairs to your air conditioner. Here’s how. Like many common trouble areas that can come up with your air conditioner, one of the keys to prevention is regular maintenance. Make sure your HVAC system is annually checked by an air conditioner repair professional. One of the main reasons for these clogged drain lines are algae that can build up over the years. Your technician can spot and address algae before the build-up becomes too great. Remember: leave these kinds of check-ups and repairs to the professionals! As your air conditioner cools the air it is also cleaning it. Over time, your air conditioner’s air filter can get NASTY and full of dirt, hair, lint and more. As it gets clogged up, it is harder for air to pass through and moisture can build up on the dirt, where mold begins to grow. Thankfully, you don’t need an expert HVAC service technician to change an air filter. Be sure to change your air filter every month. This keeps your air clean and help prevent build-up that can lead to moisture and mold inside your unit. A clogged system also has to work harder, which can wear it out sooner and lead to expensive repairs. It is important to make sure anything that could block air flow is cleared from your HVAC unit. Like a dirty air filter, any blockages like bushes, trees, fallen leaves or anything else that could get in its way can cause your system to work harder. These obstacles may also cause or produce additional airborne blockages that will clog up your filter. Don’t let the heat and water damage get the best of you this summer. Call Chapman Heating and Air Conditioning today at ​​(317) 291-4909 to schedule an appointment with one of our excellent service technicians! Chapman | Heating | Air Conditioning | Plumbing is your source for qualified HVAC repair and installation contractors.